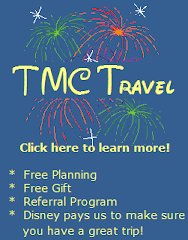 The Mouse Connection: Shoud I Buy a No Expiration Ticket at Disney? Shoud I Buy a No Expiration Ticket at Disney? We are are going to Disney World for 5 days this summer. We know that we want to go again next year, so should we just by a 10 day ticket and add on the No Expiration Option? I think we can save $57 per ticket, that sounds like a good deal. Is it? The No Expiration option can be a good deal, but it is not without it's pitfalls! When considering this option, there are a few things to consider. When you look at the pricing of the No Expire tickets, be aware that the price of the ticket is based on the total number of days on your original ticket, not the number of days that you want to "save" or carry over to your next trip. So if you want to break up a 10 day ticket for use on two 5 day vacations, you would need to purchase a 10 day ticket for $318 and then add $275 for the 10 day no expire option, for a total of $593. This is a savings over the $536 you would pay for a pair of 5 day tickets. Saving Money - In the example above, you would save about $57 per ticket with the no expiration option. Depending on how your family vacations, the savings can be even more significant. I have a friend who visits family in Florida several times a year. She often tacks on one or two Disney days. Over a period of 2 years, she will visit the parks a total of 10 days, going 1 or 2 days at the time. In that case a 10 day No Expiration ticket is REALLY good deal for her. She would save $291 per person purchasing a 10 day non expiring ticket instead of purchasing three 2 day tickets and 4 single day tickets. "Savings Account" - You can consider the remaining days on your ticket as a little Disney savings account. Your tickets are paid for and ready to go when you are. That next trip seems a little more affordable, right? Price Protection - As we saw over the weekend, Disney raises prices every year. If you hold your No Expire tickets over a period of a few years, you have hedged yourself against the inevitable price hikes. Kids Grow Up - If you purchase Junior a No Expire ticket when he was 8 and you return when he is 10, you can still use that ticket, even though Junior is technically considered an adult. 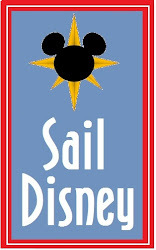 You May Miss a Discount - Several times a year, Disney offers a free dining plan with the purchase of a room and ticket package. If you already have a ticket, you are out of luck. You can work around this buy buying a ticket with a minimum number of days (usually 1 or 2) for everyone in your party in order to get the free dining discount. This often ends up being the better deal than not taking the discount at all. However, it completely eliminates the savings that you got from purchasing the No Expire option in the first place. No Upgrades - Once you are 14 days past the first use of your ticket, you can no longer upgrade your ticket. So if you purchased a base ticket on your first vacation and decide you want to park hop on your second, you are out of luck. Tic-Tac, No Tradeback - You cannot apply the remaining value of your tickets to any other vacation package. Don't Lose That Ticket - If you are like me and you organize your world by using the "Stack System" then this could be an issue for you. When you get home, put those tickets in a safe spot and don't forget! If you loose your ticket you are out of luck. Keep Count - You need to remember the number of days remaining on your ticket. I would put all tickets in an envelope and label the number of days remaining. Wouldn't it stink to get there thinking you had 6 days remaining only to find you have 3?!? It May Not Be the BEST Deal - Let's hop back up to the example above....the family planning a pair of 5 day vacations. If they schedule their trips within the same year (For example, Trip 1 October 25, 2012 and Trip 2 October 15, 2013) then the Annual Pass would be the way to go. Instead of $593 for the 10 Day No Expire, they would only pay $574 for the Annual Pass. That would also allow them to better take advantage of "half days" on arrival and departure day...possibly give them 4 more days in the parks on the same 2 vacations. Plus they could take advantage of the other Annual Passholder Discounts. Time Value of Money - It is a little known secret that this mom turned blogger turned Disney Travel agent, actually started out with a degree in Finance with a concentration in Financial Management (believe it or not, I used to design, test, and train mortgage lending software!). As I look through this conundrum through the lens of my Finance degree, I am reminded about the old "Time Value of Money" issue. I will not bore you with the math, but needless to say, you have to think about the opportunity cost of having the extra cash sitting in your bank account vs having a cute pair of tickets sitting in your underwear drawer for safe keeping. Money in tickets is money that is not working for you. This is compounded if you hold your tickets for a longer period of time. If you are purchase your tickets using a credit card that you do not immediately pay off, you are eating up your savings in interest. Disney offers these tickets because on average, they make more money doing so. They do not offer them out of the kindness of their hearts. That is not to say that these tickets are not a good deal for some people. If you pop in for a day or two at the time over a period of a year or more, then you should strongly consider this option. Otherwise, take what you would have spent, and start saving for your next trip! Work the system, don't let the system work you! There is a rumor out that the Disney No Expiration Ticket option might be going away.